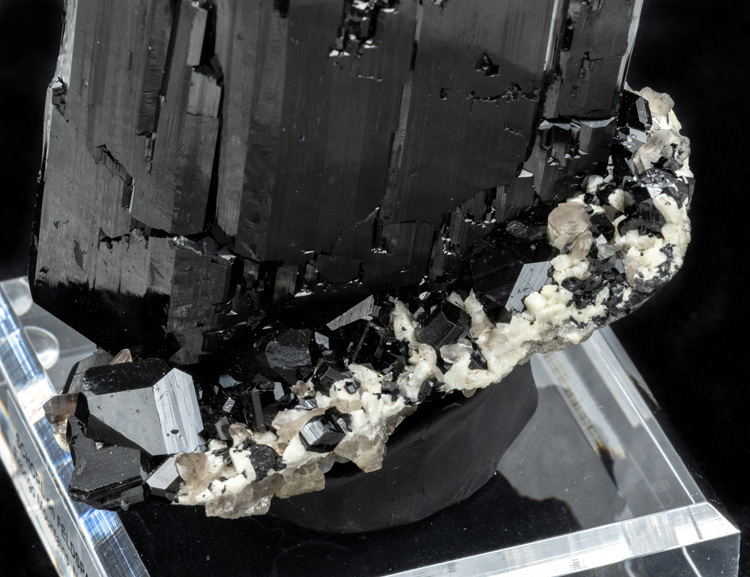 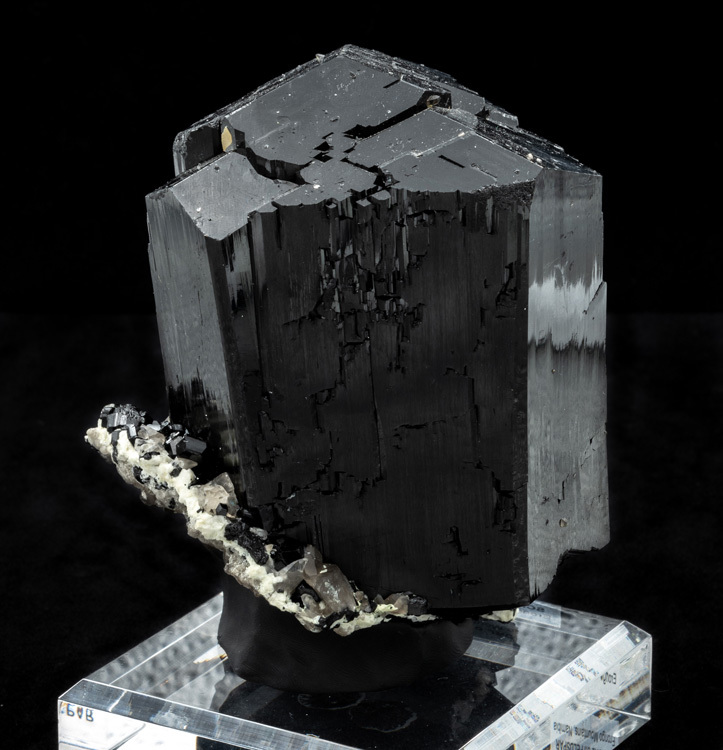 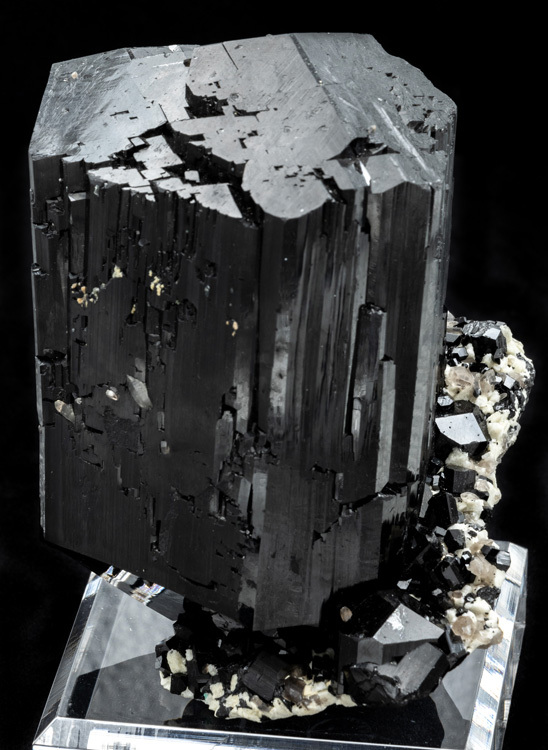 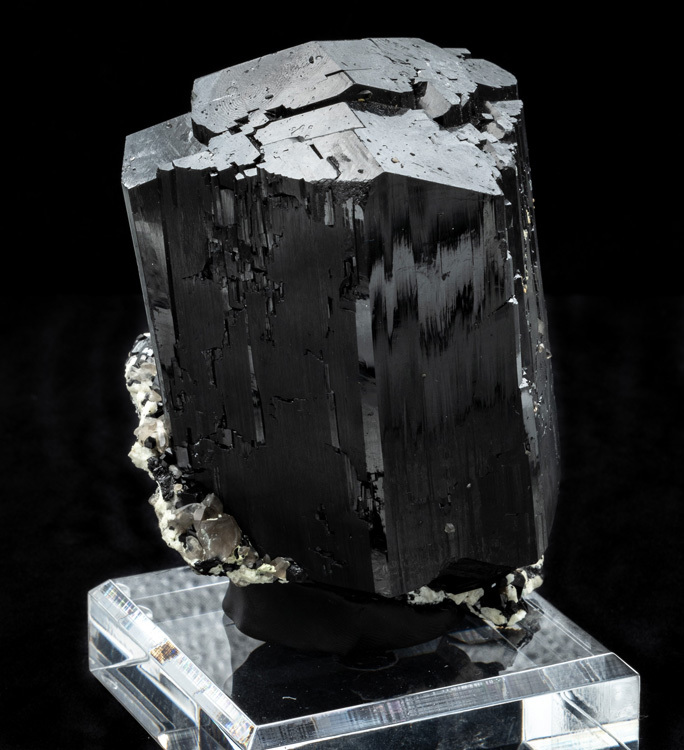 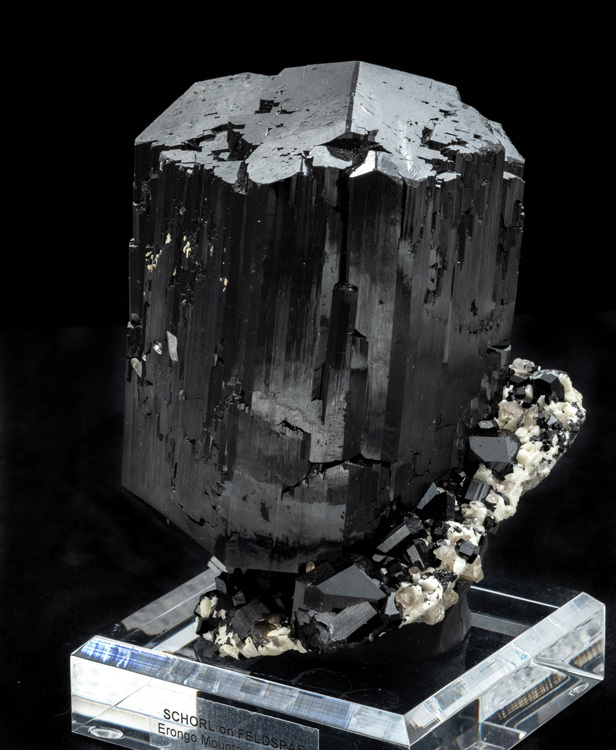 Here is an enormous schorl crystal sitting on a matrix of white feldspar that is sprinkled with many more, smaller schorl crystals. 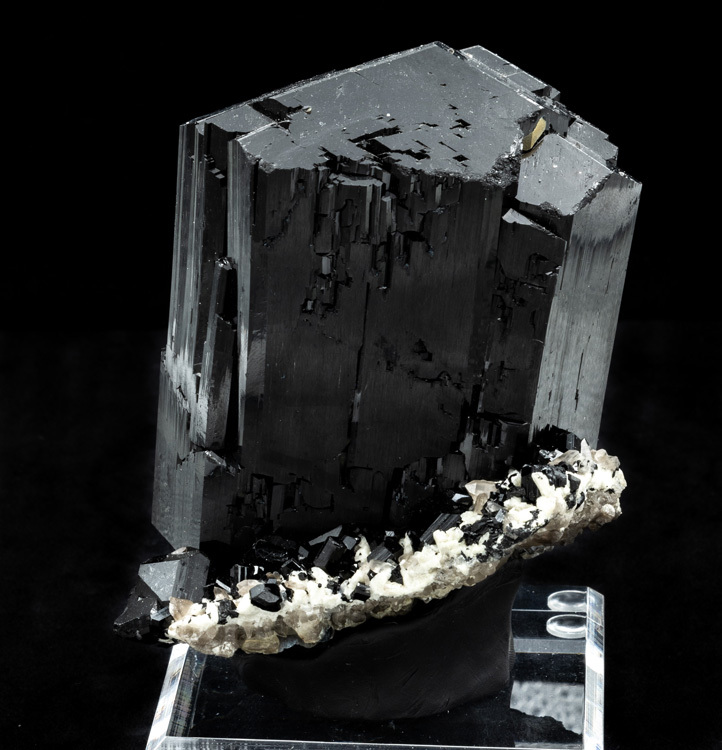 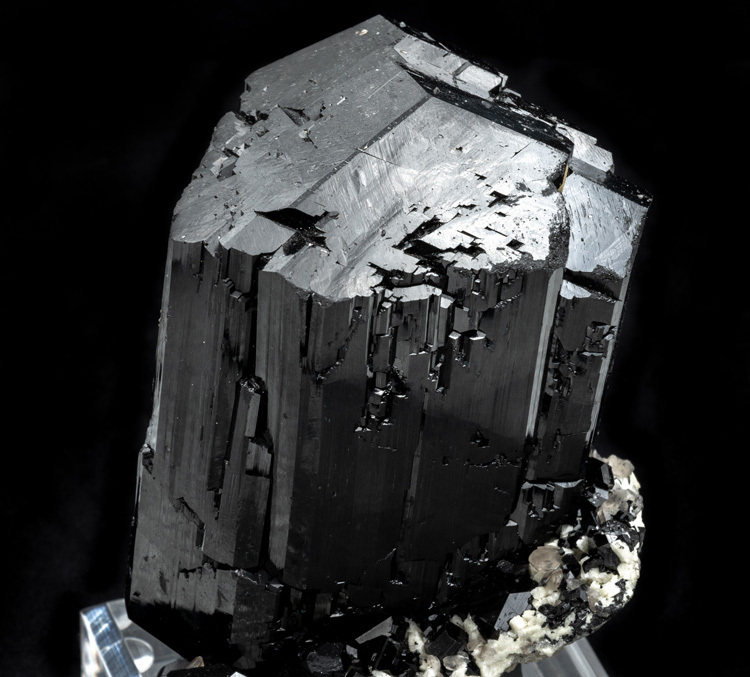 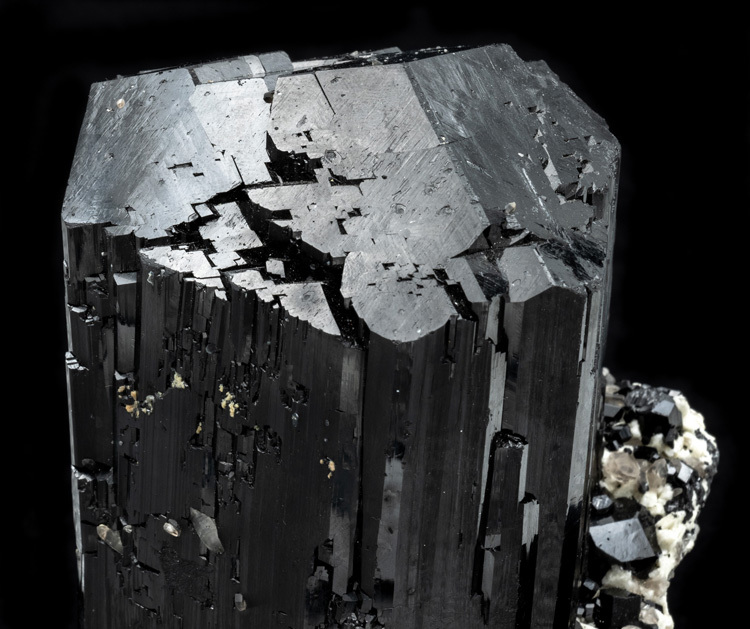 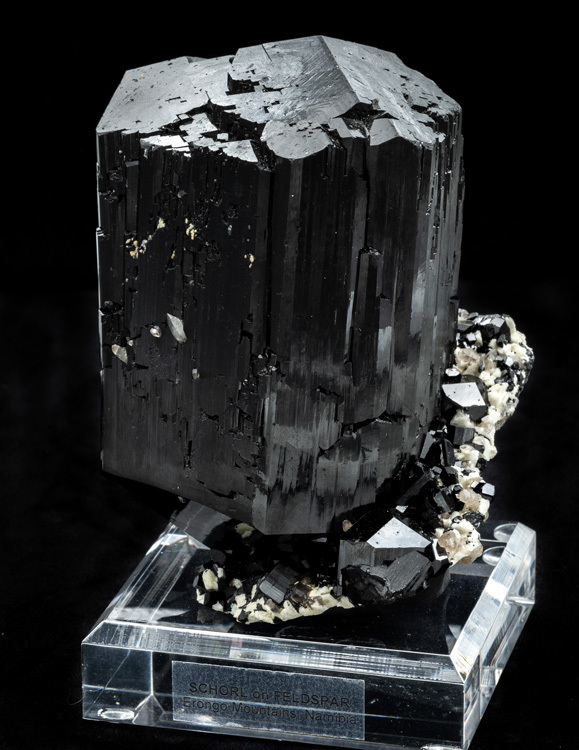 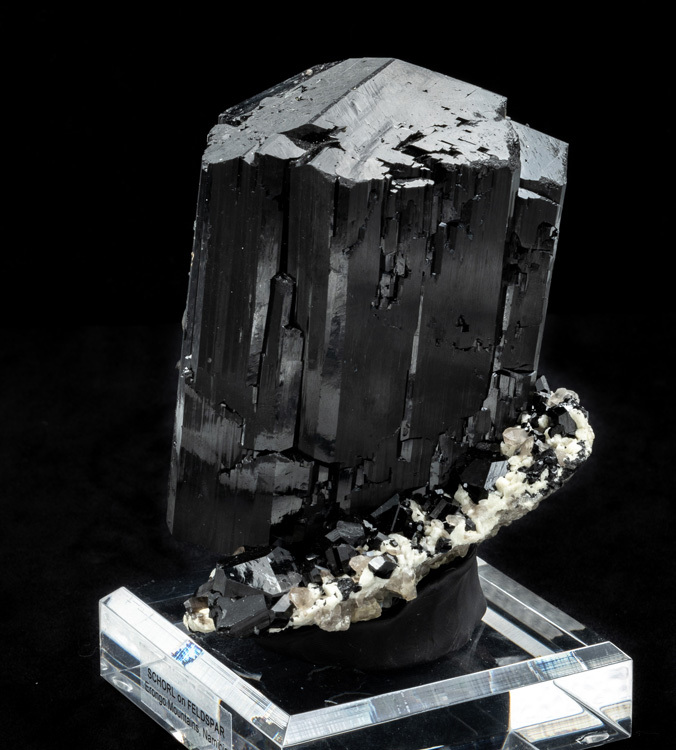 The giant black tourmaline crystal has very good luster, especially on the termination which is wide and perfectly terminated. 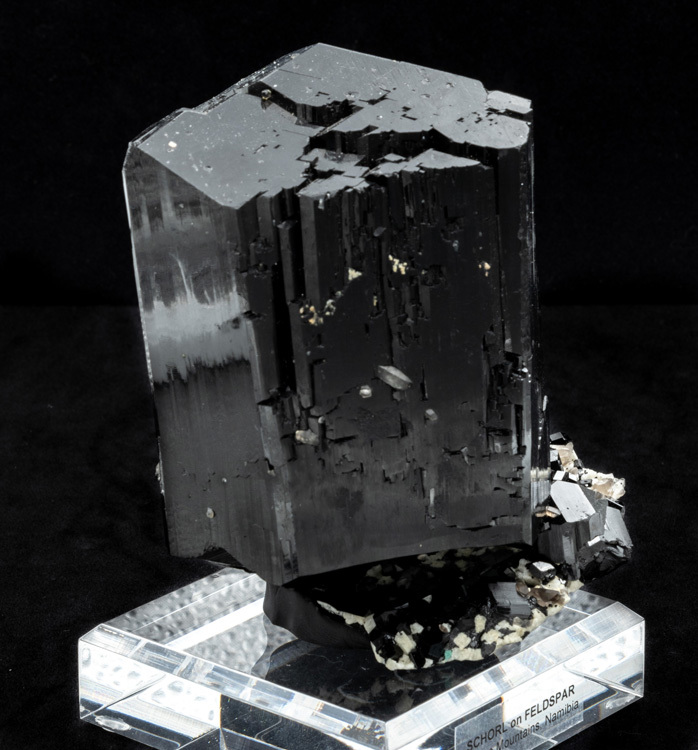 There is very little damage to the specimen. 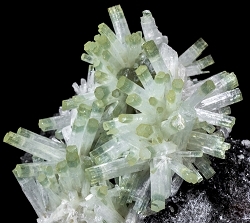 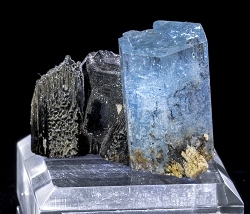 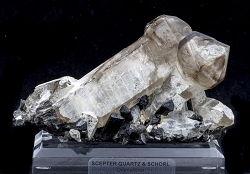 It appears that this section of feldspar detacted from the host rock at some point in its life, and then quartz crystals started to grow on the detach area. 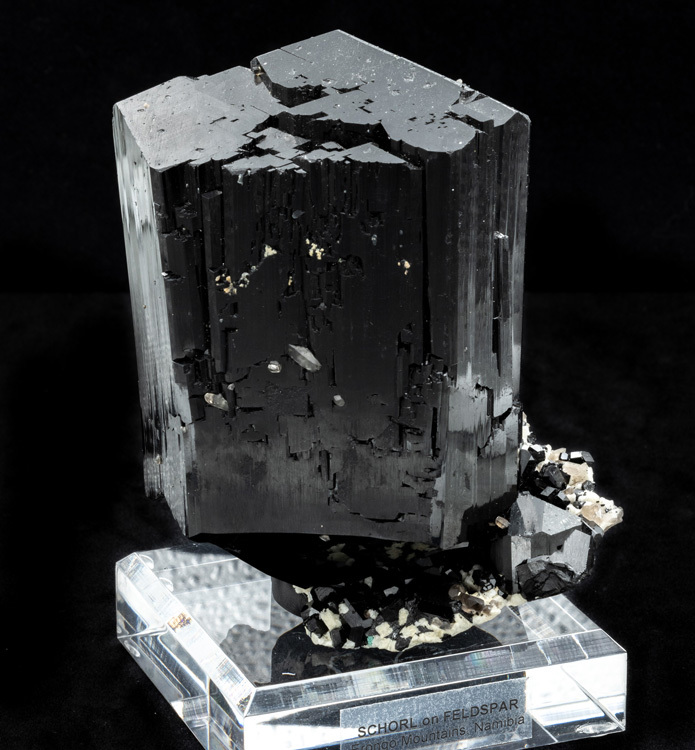 So, on the underside of the specimen there is a coating of small quartz crystals.